While not originally on our list of places to visit, we traveled to Budapest to meet family and ended up staying an extra week. Budapest is a city packed with history and culture, and visitors could spend months here without discovering all of its gems. With a heavy World War 2 influence, fantastic food and nightlife scenes, and one of the prettiest skylines in Europe, Budapest is a great place to experience. Here’s our list of the top things to do in Budapest. 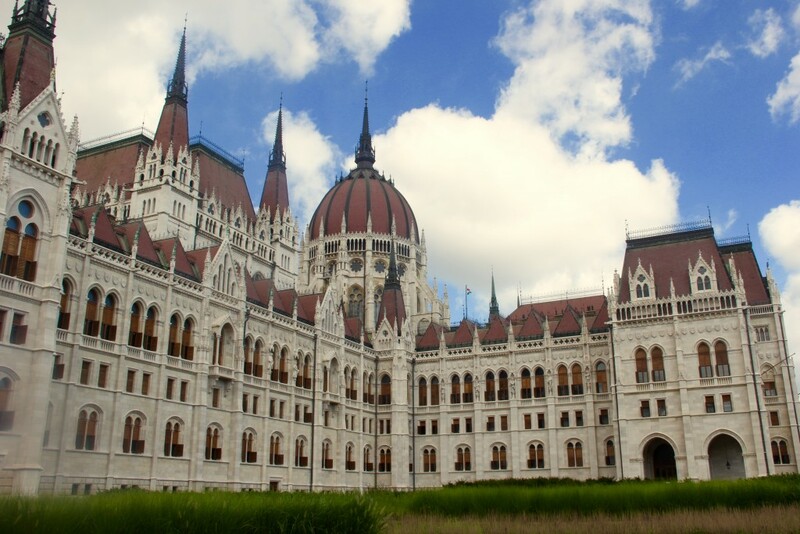 The Parliament Building in Budapest can be seen from almost everywhere, and is most prominent along the Danube River. It is one of Budapest’s oldest buildings and remains the tallest building in the city today. The incredible structure of the building is stunning to view from the outside, and visitors who desire a more in depth experience can purchase tickets to tour the premise. One of the most relaxing things to do in Budapest is to visit a thermal bath house. Budapest sits atop of over 100 thermal springs, making it one of the best places to have this experience. There are many different types of baths to choose from, and each vary in atmosphere and variety of bath types. The Széchenyi Thermal Baths is the largest medicinal bathhouse in Europe, and is a great place to spend a few hours relaxing. For those looking for a hole-in-the-wall establishment, Bors is the place to be. Located in the Jewish quarter among a number of great places to eat, Bors is unique on many levels. They specialize in soups and panini sandwiches, and have a huge variety to choose from. The guys working in the shop know what the best soups are and keep the atmosphere fun and fast paced. Near the end of Budapest’s well known shopping street, Vaci utca, sits the Great Market Hall. Spread across three floors is a large variety of street food, clothes, souvenirs, and other goods. The ground floor holds all of the food stalls and is a great place for hungry travelers to walk around. With countless stalls of pastries, meats, spirits, and fruits, there’s a bit of something for everyone. Coffee lovers, get excited. Budapest has an exceptional coffee scene, and there are so many different cafe’s to visit that one could spend their entire trip tasting coffee. One of our favorites was the Madal Espresso and Brew Bar. 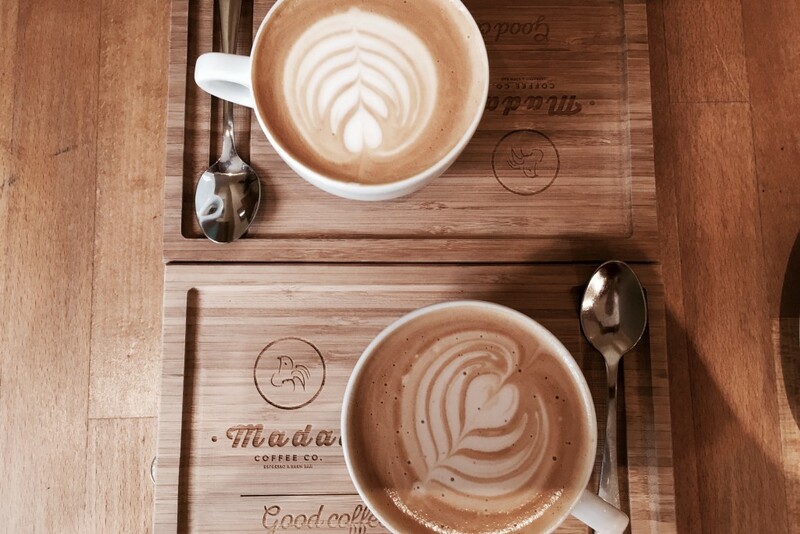 With two locations in Budapest and a brilliantly classy cafe design, Madal is a great place to chat with a friend or work for a few hours. The latte’s look and taste amazing and the fresh croissant sandwiches are some of the best we’ve ever had. On the Buda side of the city, Fisherman’s bastion is a white clad seven-tower structure that towers over almost everything else. The large terrace is one of the best spots to get views of the entire city. In the middle ages, Fisherman were tasked with guarding this section of Budapest, which is how it got its name. Today, the bastion is typically flooded with tourists checking it off their list of top things to do in Budapest. 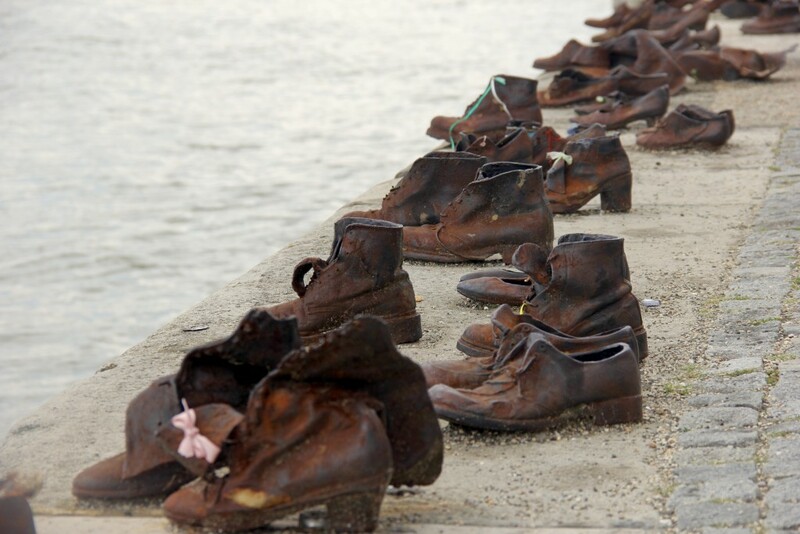 Shoes on the Danube is one of the most vivid World War 2 memorials that we’ve seen. The memorial honors and remembers Jews who were made to stand at the edge of the Danube and were then shot into the water so their bodies would float away. The bank is lined with sculpted shoes and is a sobering and effective sight. Gelato Rosa was a fun extra that we didn’t expect to find in Budapest. This ice cream parlor scoops their ice cream orders into edible flower petals. Visitors can choose to have two, three, or four layers of flower petals from a wide array of unique ice cream flavors. Located right across from Saint Stephen’s Basilica, this is a great place to pop into during a day of sight seeing. Situated in one of the cities main squares is the roman catholic church, St. Stephen’s Basilica. 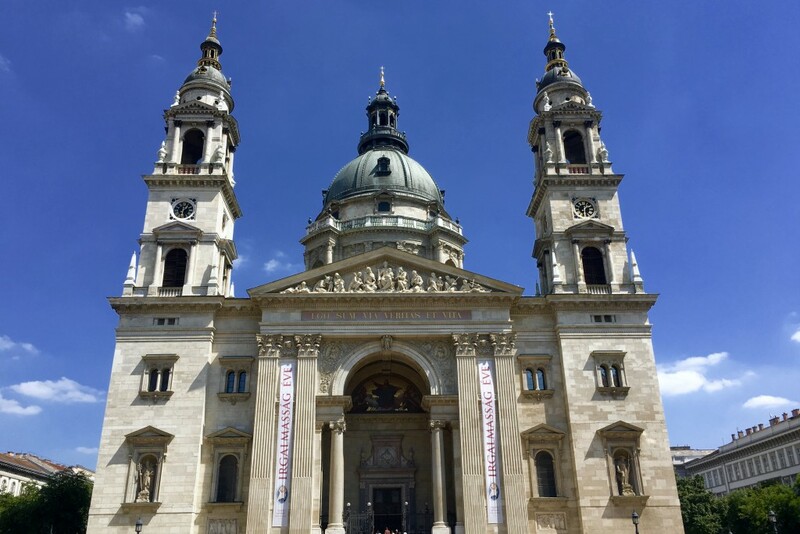 Named after the first king of Hungary, this is the country’s most important church as well as a primary tourist destination. Entry to the Basilica is free. 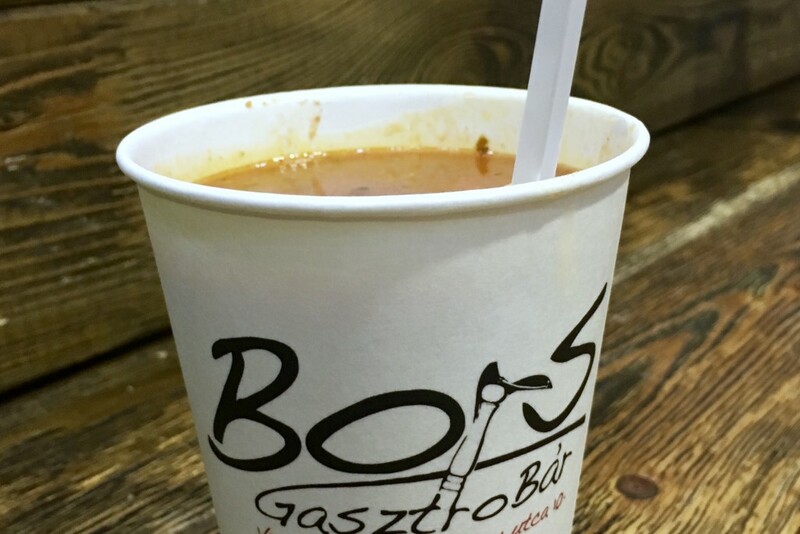 When looking for things to do in Budapest, one of the best ways to understand the city is to eat with a local. The Chef Cafe is a Hungarian family owned restaurant with top notch service. The owner creates an exclusive dining experience for all who visit and is incredibly knowledgeable about the cuisines and wine options. His family prepares the food and the meals are brought out in a beautiful presentation. We left Chef Cafe feeling very full and in high spirits based on the outstanding service provided. 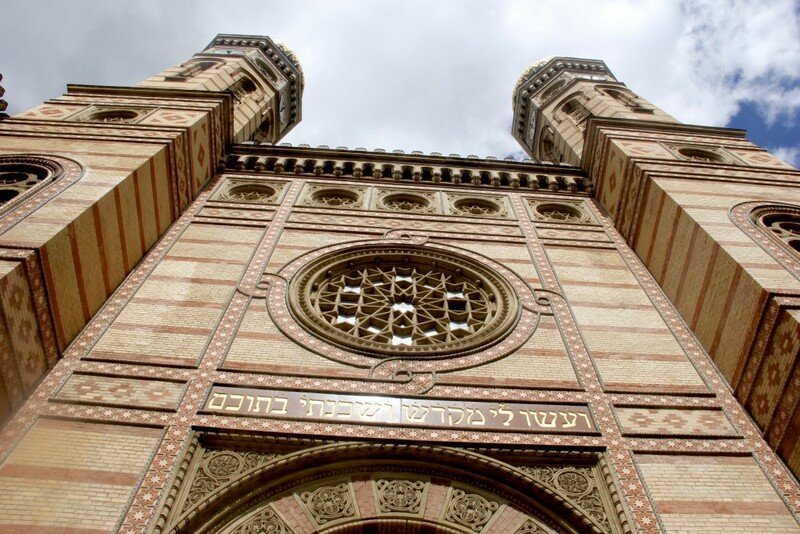 Walking up to the Dohany Synagogue is an experience of its own, and visitors will need to tip their heads back to see the ornate gold capped domes marking the entrance way. Dohany is the largest synagogue in Europe, seating over 3,000 people. In 1998, the synagogue underwent a $5 million restoration project. The synagogue features a museum, temple, memorial, and cemetery. The old Jewish quarter is home to several ruin pubs, which are a big part of the nightlife scene in Budapest. This neighborhood was abandoned and left to decay after World War 2. A group of people had the idea to repurpose the abandoned buildings into a bar scene, and filled them with vintage furniture, graffiti, and drinks. One of the first ruin bars created was Szimpla Kert. It’s a great place to meet other travelers and enjoy an atmosphere unlike any other. Budapest is a fantastically fun city with so much variety. This list provides an introduction to the different flavors that Budapest offers, but don’t be afraid to wander around and explore new places! What are your favorite things to do in Budapest? Comment below!